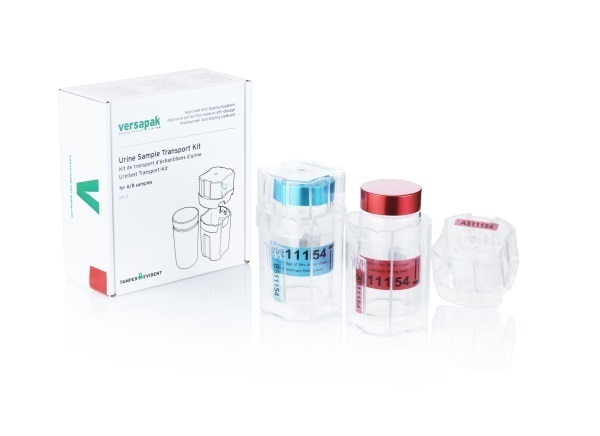 Versapak Doping Control Ltd (Versapak), a leading global designer, manufacturer and supplier of tamper evident solutions, is delighted to announce the launch of its new urine transport kit, soon available worldwide for doping control purposes. The new, single use transport kit for A/B urine samples has been carefully designed by Versapak in accordance with the International Standard for Testing and Investigations (ISTI) as laid out by the WADA code, and is completely tamper evident, indicating any interferences in the ‘chain of custody’ and the unauthorised access to samples. The kit includes two single use canisters, each comprising of a canister body and lid, and is designed to house a single glass specimen jar. The canister features ‘Tamper Evident’ latches joining the body and the lid that will break if attempts are made to access the sample. Once the canister has been broken, it cannot be re-closed, nor the latches repaired without evidence of interference. Additionally, the canister and lid in each kit are internally labelled with corresponding identification numbers as per the standards of the WADA code, which can uniquely identify the component parts and ensure the traceability of every urine sample. The kit has undergone extensive tamper evident assessments by an independent, worldwide authority and it has been confirmed that it is not possible to open the canister without evidence of tampering. Versapak Doping Control Ltd is a market-leading manufacturer of Anti-Doping products used exclusively for sport. The company is dedicated to protecting the right to participate in clean sport around the world through their commitment to the design, manufacture and supply of expert Anti-Doping products.